Whether it's to save money, boost the fun, or create a new tradition, gift exchanges are great to do with family and friends. Spice up your holiday party or gathering with these unique and fun gift exchange ideas. To cut down on having to buy for many different people, a group of friends or a large family can draw names out of a hat. Instead of having each person buy for everyone in the group, now everyone just buys for one other person. Building on the drawing names gift exchange idea, Secret Santa keeps it a secret who each person will buy for. Even after the gift is given, the identity of the "Santa" can be kept secret from the gift recipient. This is a fun holiday gift exchange idea that goes by a few different names. The main idea here is that everyone attending a party brings a (generic or gender neutral) gift, and for however many gifts are brought, numbers are drawn to decide on the opening order. The first person to choose a gift opens it. The second person to choose a gift opens it and then has the option to keep their own gift or swap it for the first person's gift. 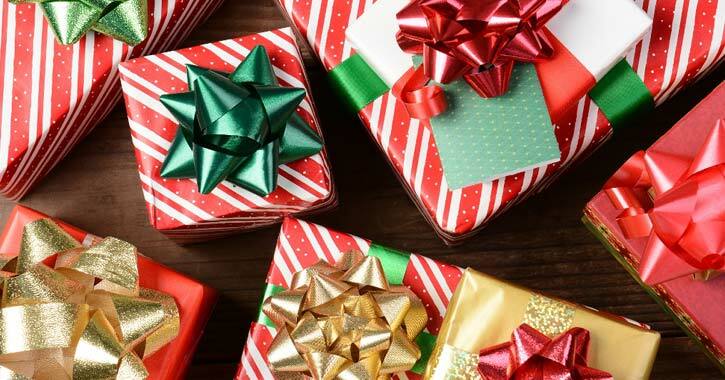 Every new person who opens a gift has the option to keep their own or swap for any other. After the last person picks and opts to swap or not swap, the first person is given the opportunity to swap the gift they ended up with. It's great fun! In this gift exchange, every party attendee brings a gift and secretly sneaks it into a grab bag so no one sees the gifts that are being added. When it comes time for the exchange, the bag is brought out with all the mysterious gifts inside. Each person then reaches in and feels around for a gift that they might like to take home. Going once! Going twice! Auctions can be great fun and a terrific way to exchange gifts. Each party attendee brings a few gifts that are put on display and up for auction. Everyone is given a certain number (usually 100) of points with which to bid. Once all of their points have been used to "purchase" auction items, guests can no longer bid on items. A live auction is fun for a lively party, but if you prefer a more subdued auction, guests can write their bids on paper for each gift. If your party attendees are big fans of guessing games like charades or Pictionary, you're bound to love this gift exchange idea. Each person brings a gift or two. When it comes time for gift giving, everyone is given a turn to hold up their wrapped gift, and then the group guesses what might be inside. You can give clues or use charades/sketches to help them along (especially if it's a particularly obscure gift to guess), and the first person to guess what the gift is gets to keep it. For those groups and families with giving hearts, this is a great option. Decide on a charity to donate the money you would ordinarily spend on gift giving to help others. You can all pool your money into a single charity or let each would-be gift recipient choose their own charity. This is a great option for guests who just want to get together for a fun time. Rather than spend money on expensive or thoughtful gifts, each attendee brings a joke gift. It can be anything from a whoopie cushion to a can of spam. Think about inside jokes and other gifts that would get a laugh when opened. No, we don't want you to go rummaging through your cardboards and plastics looking for gifts. This idea is about re-gifting! Rather than host your holiday party before the holidays, opt for a delayed party after the holidays. The only gift requirement is that you bring a gift you have already received. We all get presents around the holidays that we don't necessarily need or want. And as they say, one man's trash is another man's treasure. Recycle those unwanted gifts by exchanging them for others. This is a great frugal gift exchange idea that can be just as exciting as any of the others. Have a holiday party where the only gifts exchanged are homemade gifts. From homemade cookies and original paintings to homemade ornaments, quilts, knit hats, and more, discover how talented your friends and family really are!